Launched as an application for the iPhone and iPad as well as a plug-in for Internet Explorer, Chrome, Firefox and Safari, Yahoo has rolled out a Web browser designed to display search results in a visual form instead of simple text. Called Axis, Yahoo has eliminated the traditional step of scrolling through a list of links in order to find the correct page. Instead of text, the user views image previews of the top search results and can scroll through new previews a few images at a time. The user then clicks or taps on the image preview to load a page. 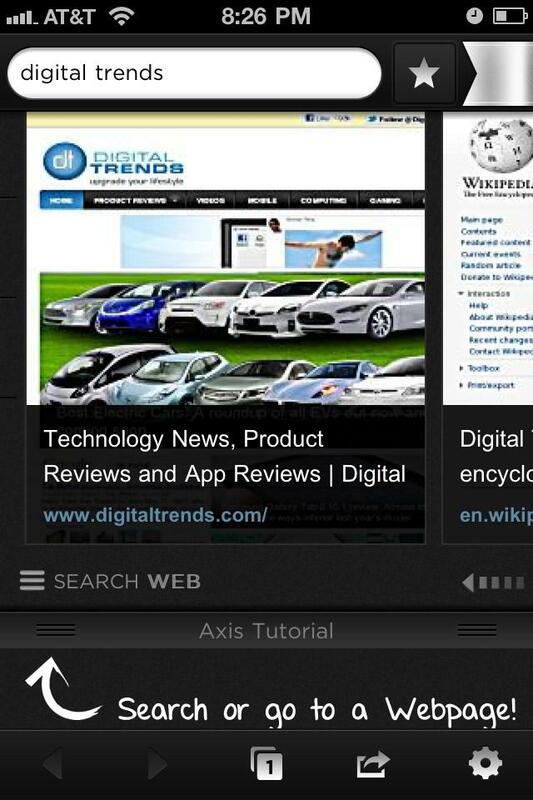 On the iPhone and iPad platforms, the Axis application is a full-fledged browser. The interface includes a search bar at the top of the screen and naviation tools at the bottom of the screen. Axis users can also log into the application in order to share bookmarks between different platforms. The My Bookmarks section includes folders for favorite sites as well as a list of sites or articles that can be marked to check out later. The user can add a site to either folder by clicking the Star button next to the search bar. The user can also browse through all bookmarks easily by accessing the custom Home page within the navigation options at the bottom of the screen. Taking advantage of the visual nature of the application, Yahoo has also included an option to “Pin” a site to Pinterest at the bottom portion of the navigation. The Axis user can also send the site to someone via email, but other social sharing options like Facebook aren’t included within the interface of the iPhone version. 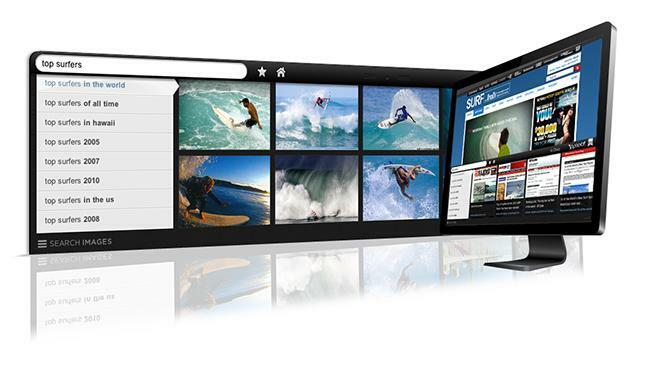 Searches can be continued from other platforms if the user wants to view a Web page on a larger screen. For instance, an Axis user browsing on an iPhone can click the “Continue from iPhone” button on the plugin version of Axis within a mainstream Web browser. The plugin version is extremely similar in design to the iOS application. After installing the plugin from the main Axis page, a small overlay appears in the bottom left hand corner of the Web browser screen after a page fully loads. The user can type a search term in the overlay window and immediately launch the visual search function. The overlay expands to cover the lower portion of the screen, but doesn’t force the user to stop viewing the current page. Considering Yahoo still generates over one billion dollars a year in search-related advertising, this is a bold direction for the company. Since there are no traditional search result pages, Yahoo may have to shift their advertising model to include visual advertisements within Axis. At launch, Yahoo is only including Yahoo Shopping results within the visual image previews and seems to be focusing on the user experience rather than revenue generation. According to the company, the Android version of Axis is still under development. However, Yahoo may find Google resistant to a new mobile browser on Android products that doesn’t default to Google search. 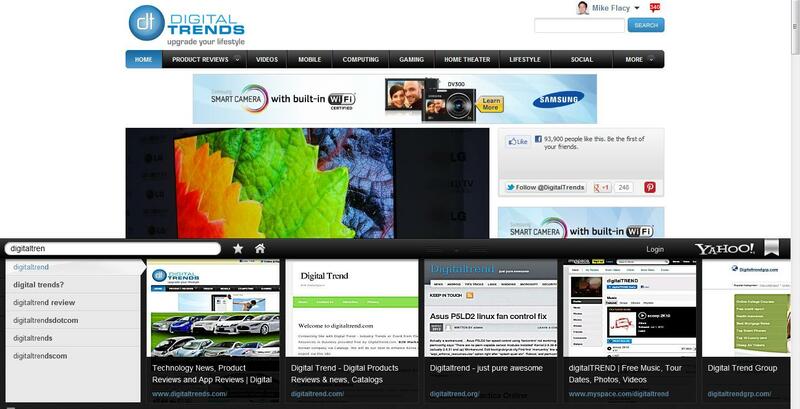 Anyone interested in checking out the plugin or mobile application should visit this page.